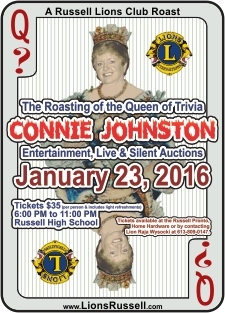 The members of the Lions Club of Russell are an active group. Not only do we organize a significant number of fundraising events each year, we're also active participants in our community, Russell Township. This year's events are listed below. If you have questions about any of the events, just send us an email. Don't miss your chance to win! $5,000 in cash prizes will be drawn throughout 2019. Be sure to ask a Lion you know or go to the various retail outlets to get your calendar! Click here to go to our dedicated Lions Cash Calendar page top see our list of monthly winners. The Russell Lions Club Angel Trees are now up! They are located at the Russell Home Hardware and Urban Country. The Angel Trees will be up until December 8th, 2018. The demand is higher this year and we need the generous people of Russell to help out. A perennial favourite! 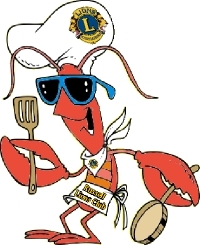 Every year, the Club has its annual Lobsterfeast, which is held on the last Saturday in May at the Russell Arena. Entertainment will be provided and, of course, there's the all-you-can-eat lobster and roast pork. Famous far and wide, the Lobsterfeast sells out early – very early – so drop us an email to reserve your tickets. Click here to go to our dedicated Lobsterfeast page. Yes! The rumors are true! 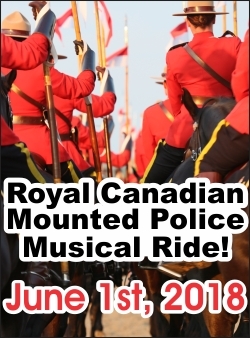 The Russell Lions Club is proud to present the Royal Canadian Mounted Police Musical Ride. A Canadian tradition since 1876, a troop of 32 scarlet coated “Mounties” on majestic black horses present a 30 minute show of intricate figures and cavalry drills choreographed to music. Tickets will go on sale soon and will be $10 for adults, $5 for youth (between 5 and 13 years of age) and FREE for children under 5! We will be listing here the locations where tickets will be sold soon. Come back here for more information as the date gets closer. We have a page dedicated to the Musical Ride here. Our first ever cookbook! Click here to read all about it! The Lions' will come a-knockin' and we'll surely prove yet again that Russell is an incredibly generous town! Some of you wait all year to greet a Lion at your door and some of you simply leave boxes and bags on your doorstep filled with food (so we don't interrupt much deserved sleeping-in)! 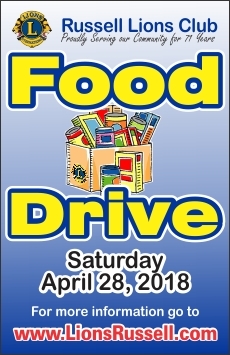 Remember: non-perishable food, bath & hygiene supplies are preferable. Another favourite – small town Canada Day celebrations! A fun day for the whole family with great entertainment, kids games, fireworks, and more! See you at the Russell Lions Ball Park! Click here to see our dedicated Canada Day page. 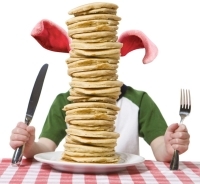 More activities will be added to the schedule in the weeks and months before Canada Day, so stay tuned! For more information about any of the above events, just send us an email. The Russell Lions Club Angel Trees are now up! They are located at the Russell Home Hardware and Urban Country. The Angel Trees will be up until December 12th, 2016. The demand is higher this year and we need the generous people of Russell to help out. 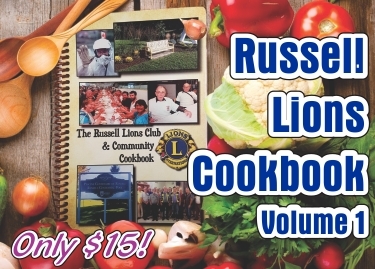 Come swing your clubs for our club... the Russell Lions Club! Putting contest & other challenges throughout the day! 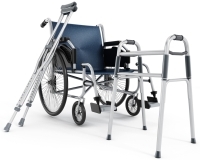 For more information, contact Lion Diane Lacroix at 613-370-0707 (dianelacroix@rogers.com). 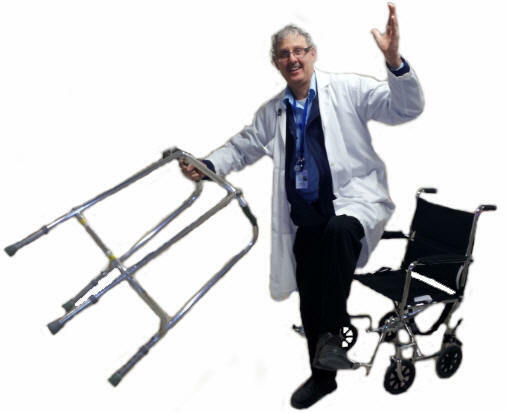 The Doc is Back & his Heel has Healed! Click here for more information on DocFest2.